For several years following his return to America, he continued his studies with persevering industry, greatly adding to the stock of knowledge which he had gained abroad, by which he was still more eminently fitted for the conspicuous part he was destined to act in the approaching revolutionary struggle of his country. About the year 1757, Mr. Lee was called to a seat in the house of burgesses. For several years, however, he made but an indifferent figure, either as an orator or the leader of a party, owing, it is said, to a natural diffidence, which prevented him from displaying those powers with which he was gifted, or exercising that influence to which be was entitled. This impediment, however, was gradually removed, when he rapidly rose into notice, and became conspicuous as, a political leader in his country, and highly distinguished for a natural, easy, and at the same time impressive eloquence. The above strong and spirited resolutions served to rouse the energies of the Americans, and to concentrate that feeling, which was spending itself without obtaining any important object. Not long after the above resolutions were carried, Mr. Lee presented to his fellow citizens the plan of an association, the object of which was an effectual resistance to the arbitrary power of the mother country, which was manifesting itself in various odious forms; and especially in that detestable measure, the stamp act. The third article of the constitution of this association will show the patriotic and determined spirit which prevailed in the county of Westmoreland, the people of which generally united in the association. "As the stamp act does absolutely direct the property of people to be taken from them, without their consent, expressed by their representatives, and as in many cases it deprives the British American subject of his right to be tried by jury, we do determine, at every hazard, and paying no regard to death, to exert every faculty to prevent the execution of the stamp act, in every instance, within the colony." In the year 1773 Mr. Lee brought forward in the Virginia house of burgesses his celebrated plan for the formation of a committee of correspondence, whose object was to disseminate information and to kindle the flame of liberty, throughout the continent; or, in other language, "to watch the conduct of the British parliament, to spread more widely correct information on topics connected with the interests of the colonies, and to form a closer union of the men of influence in each." The honor of having first established corresponding societies is claimed both by Massachusetts and Virginia; the former placing the merit to the account of her distinguished patriot, Samuel Adams; and the latter assigning it to Richard Henry Lee. It is probable, however, that each of these distinguished men are entitled to equal honor, in respect to originating a plan which contributed, more than most others, to a unity of sentiment and harmony of action among the different leaders in the respective colonies. Without concert between them, each of these individuals seems to have introduced the plan, about the same period, to the legislatures of their respective colonies. It is certain, however, that in respect to Mr. Lee, the plan of these corresponding societies was not the result of a few days reflection only. It had occupied his thoughts for several years; had been there forming and maturing, and, at length, was proposed and adopted, to the infinite advantage of the cause of liberty in the country. Of the distinguished congress which met at Philadelphia in 1774, Mr. Lee was a delegate from Virginia, with Washington and Henry. In the deliberations of this celebrated body. Mr. Lee acted a conspicuous part, and served on several committees; and to his pen is attributed the memorial, which the continental congress authorized, to the people of British America. In the following year, Mr. Lee received the unanimous suffrage of the district in which be resided to the assembly of Virginia, by which he was deputed to represent the colony in the second congress, which was to meet on the tenth of May of that year. At the same time, he received an expression of the thanks of the assembly, "for his cheerful undertaking, and faithful discharge of the trust reposed in him, during the session of the last congress." On the meeting of this second congress, it was apparent that all hope of peace and reconciliation with the mother country was at an end. Indeed, hostilities had actually commenced; the busy note of preparation was heard in all the land. Washington was summoned by the unanimous voice of congress to the command of the American armies ; and his commission and instructions it fell to Mr. Lee to furnish, as the chairman of a committee appointed for that purpose. During the same session, also, he was placed on committees which were appointed to the important duties of preparing munitions of war, encouraging the manufacture of saltpeter and arms, and for devising, a plan for the more rapid communication of intelligence throughout the colonies. Mr. Lee was selected to move the resolution in congress on this great subject. This he did on the seventh of June, 1776, in the following words. "That these united colonies are, and of right ought to be, free and independent states; that they are absolved from all allegiance to the British crown; and that all political connexion between them and the state of Great Britain is, and ought to be, totally dissolved." The motion, thus introduced by Mr. Lee, he followed by one of the most luminous and eloquent speeches ever delivered, either by himself or any other gentleman, on the floor of congress. "Why then, sir," (said he, in conclusion,) "why do we longer delay? Why still delibeate? Let this happy day give birth to an American republic. Let her arise, not to devastate and to conquer, but to reestablish the reign of peace and of law. The eyes of Europe are fixed upon us: she demands of us a living example of freedom, that may exhibit a contrast in the felicity of the citizen to the ever increasing tyranny which desolates her polluted shores. She invites us to prepare an asylum, where the unhappy may find solace, and the persecuted repose. She entreats us to cultivate a propitious soil, where the generous plant which first sprung and grew in England, but is now withered by the poisonous blasts of Scottish tyranny, may revive and flourish, sheltering under its salubrious and interminable shade, all the unfortunate of the human race. If we are not this day wanting in our duty, the names of the American legislators of 1776 will be placed by posterity at the side of Theseus. Lycurgus, and Romulus, of the three Williams of Nassau, and of all those whose memory has been, and ever will be, dear to virtuous men and good citizens." The debate on the above motion of Mr. Lee was protracted until the tenth of June, on which day congress resolved "that the consideration of the resolution respecting independence be postponed till the first Monday in July next; and, in the mean while, that no time be lost, in case the congress agree thereto, that a committee be appointed to prepare a declaration to the effect of the said resolution." On the day on which this resolution was taken, Mr. Lee ,was unexpectedly summoned to attend upon his family in Virginia, some of the members of which were at that time dangerously ill. As the mover of the original resolution for independence, it would, according to parliamentary usage, have devolved upon Mr. Lee to have been appointed chairman of the committee selected to prepare a declaration, and as chairman, to have furnished that important document. In the absence of Mr. Lee, however, Mr. Jefferson was elected to that honor, by whom it was drawn up with singular energy of style and argument. In the following month, Mr. Lee resumed his seat in congress, in which body he continued till June, 1777, during which period he continued the same round of active exertions for the welfare of his country. It was his fortune, however, as well as the fortune of others, to have enemies, who charged him with disaffection to his country, and attachment to Great Britain. The ground upon which this charge was made, was, that contrary to his former practice, previously to the war, he received the rents of his tenants in the produce of their farms, instead of colonial money, which had now become greatly depreciated. This accusation, though altogether unjust, and unwarrantable, at length gained so much credit, that the name of Mr. Lee was omitted by the assembly, in their list of delegates to congress. This gave him an opportunity, and furnished him with a motive, to demand of the assembly an inquiry into the nature of the allegations against him. The inquiry resulted in an entire acquittal, and in an expression of thanks to Mr. Lee, which was conveyed, on the part of the house, by their speaker, Mr. Wythe, in the following language: "It is with peculiar pleasure, sir, that I obey this command of the house, because it gives me an opportunity, while I am performing an act of duty to them, to perform an act of justice to yourself. Serving with you in congress, and attentively observing your conduct there, I thought that you manifested, in the American cause, a zeal truly patriotic; and as far as I could judge, exerted the abilities for which you are confessedly distinguished, to promote the, good and prosperity of your own country in particular, and of the United States in general. That the tribute of praise deserved, may reward those who do well, and encourage others to follow your example, the house have come to this resolution: that the thanks of this house, be given by the speaker to Richard Henry Lee, for the faithful services he has rendered his country, in discharge of his duty, as one of the delegates from this state in general congress." At a subsequent period, Mr. Lee was again elected a delegate to congress; but during the session of 1778 and 1779, in consequence of ill health, he was obliged frequently to absent himself from the arduous duties which devolved upon him, and which he could no longer sustain. From this time, until 1784, Mr. Lee declined accepting a seat in congress, from a belief that he might be more useful to his native state, by holding a seat in her assembly. In this latter year, however, the people of Virginia again honored him, by appointing him one of her representatives to congress, of which body he was unanimously elected president. In this exalted station he presided with great ability; and on the expiration of his time of service, he received the thanks of congress for his able and faithful discharge of the duties of president, while acting in that station. To the adoption of the federal constitution without amendment, although not a member of the convention which discussed its merits, he was strongly opposed. The tendency of the constitution, he apprehended, was to consolidation. To guard against this, it was his wish that the respective states should impart to the federal head only so much power as, was necessary for mutual safety and happiness. Under the new constitution, Mr. Lee was appointed the first senator from Virginia; in the exercise of which office, be offered several amendments to the constitution, from the adoption of which he hoped to lessen the danger to the country, which he had apprehended. About the year 1792, Mr. Lee, enfeebled by his long attention to public duties, and by the infirmities of age, retired to the enjoyment of his family and friends. Not long after, he had the pleasure of receiving from the senate and house of delegates of Virginia, the following unanimous vote of thanks: "Resolved, unanimously, that the speaker be desired to convey to Richard Henry Lee, the respects of the senate; that they sincerely sympathise with him in those infirmities, which have deprived their country of his valuable services; and that they ardently wish he may, in his retirement, and uninterrupted happiness, close the evening of a life, in which he hath so conspicuously shone forth as a statesman and a patriot; that while mindful of his many exertions to promote the public interests, they are particularly thankful for his conduct as a member of the legislature of the United States." The life of Mr. Lee was continued until the nineteenth of June, 1794, when he breathed his last, at the age of sixty-three years. 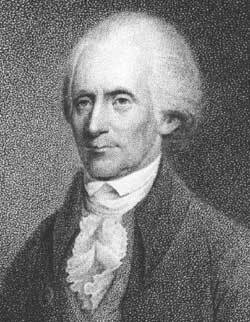 Few men, in any age or in any country, have shone with, greater brilliancy, or have left a more desirable name, than Richard Henry Lee. Both in public and private life, he had few equals. In his public career, he was distinguished for no common ardor and disinterestedness. As an orator, he exercised an uncommon sway over the minds of men. His manners were perfectly graceful, and his language universally chaste. "Although somewhat monotonous, his speeches," says a writer, "were always pleasing, yet be did not ravish your senses, nor carry away your judgment by storm. His was the mediate class of eloquence, described by Rollin in his belles lettres. He was like a beautiful river, meandering through a flowery mead, but which never overflowed its banks. It was Henry who was the mountain torrent, that swept away every thing before it; it was he alone, who thundered and lightened; he alone attained that sublime species of eloquence, also mentioned by Rollin." In private life, Mr. Lee was justly the delight of all who knew him. He had a numerous family of children, the off spring, of two marriages, who were eminently devoted to their father, who in his turn delighted to administer to their innocent enjoyments, and to witness the expansion of their intellectual powers. We conclude this hasty sketch, with the following account of Mr. Lee, from the flowing pen of the author of the life of Patrick Henry. – "Mr. Lee," says he, "had studied the classics in the true spirit of criticism. His taste had that delicate touch, which seized with intuitive certainty every beauty of an author, and his genius that native affinity, which combined them without an effort. Into every walk of literature and science, he had carried his mind of exquisite selection, and brought it back to the business of life, crowned with every light of learning, and decked with every wreath that all the muses and all the graces could entwine. Nor did these light decorations constitute the whole value of its freight. He possessed a rich store of political knowledge, with an activity of observation, and a certainty of judgment, which turned that knowledge to the very best account. He was not a lawyer by profession, but he understood thoroughly the constitution both of the mother country and of her colonies, and the elements, also, of the civil and municipal law. Thus, while his eloquence was free from those stiff and technical restraints, which the habit of forensic speaking are so apt to generate, he had all the legal learning which is necessary to a statesman. He reasoned well, and declaimed freely and splendidly. The note of his voice was deep and melodious. It was the canorous voice of Cicero. He had lost the use of one of his hands, which he kept constantly covered with a black silk bandage, neatly fitted to the palm of his hand, but leaving his thumb free; yet, notwithstanding this disadvantage, his gesture was so graceful and highly finished. that it was said he had acquired it by practicing before a mirror. Such was his promptitude, that he required no preparation for debate. He was ready for any subject, as soon as it was announced, and his speech was so copious, so rich, so mellifluous, set off with such bewitching cadence of voice, and such captivating grace of action, that while you listened to him, you desired to hear nothing superior; and, indeed, thought him perfect. He had quick sensibility and a fervid imagination."